The purchase of braided line should be seen as an investment. It might not be quite as long-term as a rod and reel set-up, but usually longer than a many lures, and certainly any terminal tackle. It’s for this reason that, despite my not being particularly moneyed at this stage in my life, I always look for the best quality braid I can get my hands on. Lesser braids, while cheap and affordable after a standard tertiary study-laden week, won’t give the same mileage, often rubbing through and breaking only weeks after installation. As a result, an angler will often end up spending more in the long-term if they want to keep fishing, but there are steps available to minimise unnecessary spending and maximise catching! EJ Todd Fishing Solutions have a history of bringing in high-quality fishing products from all over the world. Basically, if you take fishing more seriously than just about anything else in life, you’ll have brought EJ Todd products. Everything under the Todd’s banner comes with unmistakable quality identified by Australian anglers for Australian anglers, and the new Siglon PE from Sunline is no exception! Having been sent two spools for testing, the PEx4 and PEx8 (both in 16lb), I decided I would do a comparison of the two. The two 150m (165yds) spools were in the ‘light green’ colour, perfect for my planned testing site that features a lot of aquatic weed. The PEx8 is available in light green, orange and multi colour, and the PEx4 just in light green. As the name suggests, the PEx8 is an 8-carrier braid, and the PEx4 a 4-carrier. From experimentation in the past, I’ve learned that braids with less strands tend to operate better on a baitcasting set up, because they flatten much easier and often end up slightly stiffer. This stiffness helps line to run off the spool during a cast, where softer braids often can’t keep up with the rotation and end up overrunning. Braids with more strands on the other hand, usually end up being rounder in configuration but softer and more flexible, and definitely better suited to a spinning set-up. With no risk of overrunning, spinning set-ups can get away using comparatively soft braids. With this in mind, I decided that the PEx8 would go onto my Daiwa BG 2500 spin reel, and the PEx4 onto my 13 Fishing Concept A bait caster. As with all re-spooling of braid on my reels, I made sure to pack it down as tightly as I could onto about 20-30m of squishy monofilament, which I use as backing. 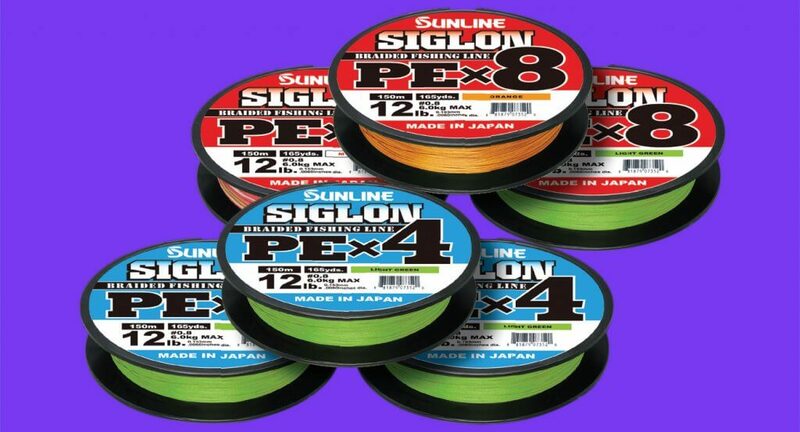 Techniques like jerkbaiting can be a nightmare when using substandard braids, with the potential for looping and uneven wrapping on the spool between jerks –there’s none of that with Siglon PE! 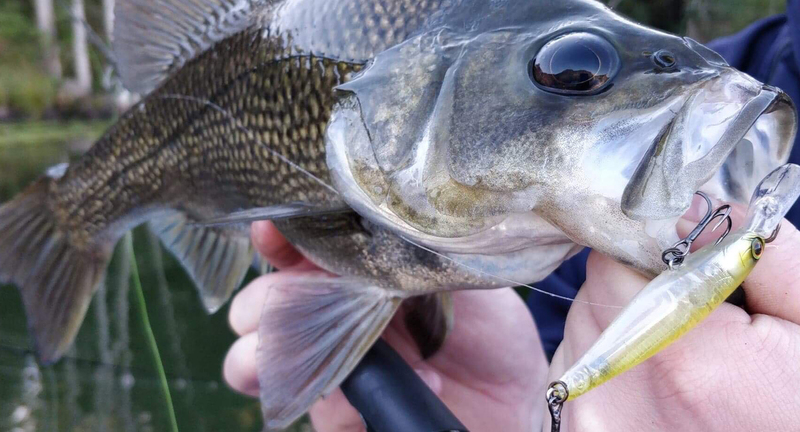 Soon enough I was on the water, and the end of autumn saw me getting stuck into one of my favourite forms of fishing – jerkbaiting for impoundment bass! With the constant jerking of the rod and potential for uneven wrapping on the spool, I thought this was a perfect test for the braid. For a bit of fun, I decided to fish jerkbaits on both the spinning and baitcasting setups loaded up with the Siglon PE. Like with all braids, it took a few casts for it to warm up and cast properly, but within 2 minutes I was belting out long casts with a 4.5g jerkbait, and within 5 minutes, I was hooked up on the spin gear! This fish started a fantastic few months of top-class jerkbaiting in South East Queensland for me, and I got plenty of use out of the PEx4 and the PEx8. On the 8 I was able to deliver good casts comfortably with jerkbaits as light at 3.5g, while with the 4 on the baitcast set-up, I used baits as light at 4.9g without any trouble at all. I also got some use out of the braids fishing for flathead, bream and squid without any loops, wind knots or troubles associated with lesser braids. They’ve even retained their original colour better than other braids I’ve used! As a bonus, I found it to be extremely thin for its poundage, which aided in casting distance and overall stealth. As for the comparison of the two models, I found that my decision to put the braids on their respective reels was a good choice, and feel that anyone interested in using this line should follow the same principal – PEx4 for baitcasters and PEx8 for spin reels.